As you all know I am passionate about creating a ‘Real Food Revolution’. Do what works for you but keep the food REAL. Some think ‘PALEO’ is extreme. You know what I think’s extreme? That weird packaged ‘food-like-product’ with 72 ingredients, none of which you know (biologically) or can pronounce, that you are comfortably shoving in your pie hole. That, my friend, is actually the real crazy $hit. I think we all need to take responsibility for our own health and realise that if you don’t feel at the top of your game, have ailments plaguing you, digestive issues, skin problems, brain fog etc, it’s NOT because you have an *insert drug of choice* deficiency. Ever heard of a paracetamol deficiency? No? Me neither. Wise up peeps. Those problems are far more to do with what you are feeding the cells of your body with every bite, with every cream, lotion or potion you slather on, the stress you expose it to, the sleep you don’t get, the movement you are not doing (or doing too much of). All of that matters but I truly believe it starts with food. Just JERF. Just Eat Real Food. It’s not a diet, it’s common freaking sense. 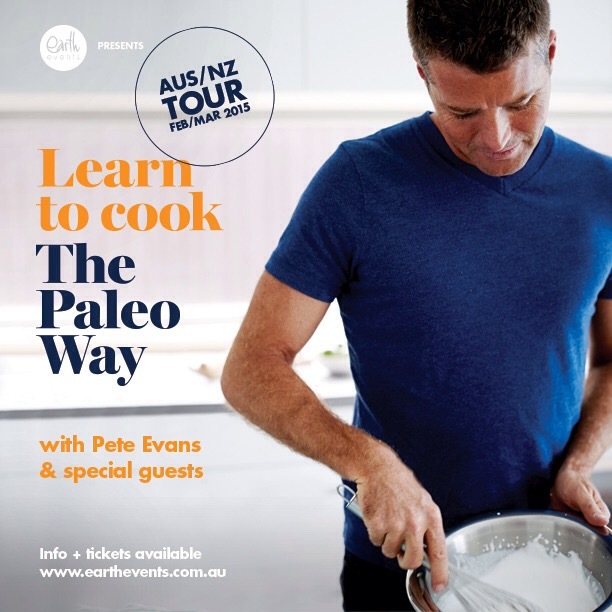 I was lucky enough to get along to The Paleo Way tour last year when Chef Pete Evans created quite the stir with his entourage of Paleo advocates. He has since launched a very successful TV series by the same name to help educate people about getting back to our primal roots and helping to make the lifestyle more accessible and understood by the masses… I was lucky enough to interview the man of the moment below. Enough of my ranting, here’s the interview. Enjoy. Me: If you could bust 1 nutrition myth what would it be? Pete: That Paleo is a DIET or a FAD. Paleo is so far from these types of things and if it’s a fad, then it’s the oldest fad diet in the world due to the fact that it’s been around for over three million years. This way of life is not at all restrictive – there is no counting calories or cutting down meals to the point that you’re constantly hungry and weight loss or weight stabilisation is actually just a bonus. The real goal with this way of life is to reclaim your health by eating the most natural foods available, straight from the source. 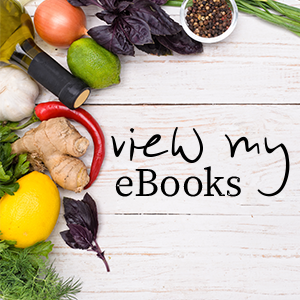 In short, scientific research shows that by consuming what our ancestors and modern-day hunter-gatherer tribes continue to consume today, we can take back control of our health and live a life of optimal wellness. Research has also shown these societies don’t tend to suffer from the modern chronic diseases that plague the developed world and for me that is powerful information that’s worth investigating. Me: Who is one chef you’d love to cook with and why? Pete: I was really honoured to be able to get the chance to cook with one of my favourite chefs Seamus Mullens, who owns restaurants in New York. Like me, Seamus overhauled his own life through healthy eating and now he’s inspiring others to do the same. 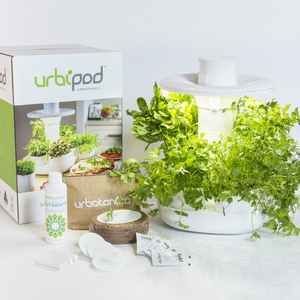 He’s truly passionate about connecting people back with their natural food sources and creating a positive conversation about the future of food. 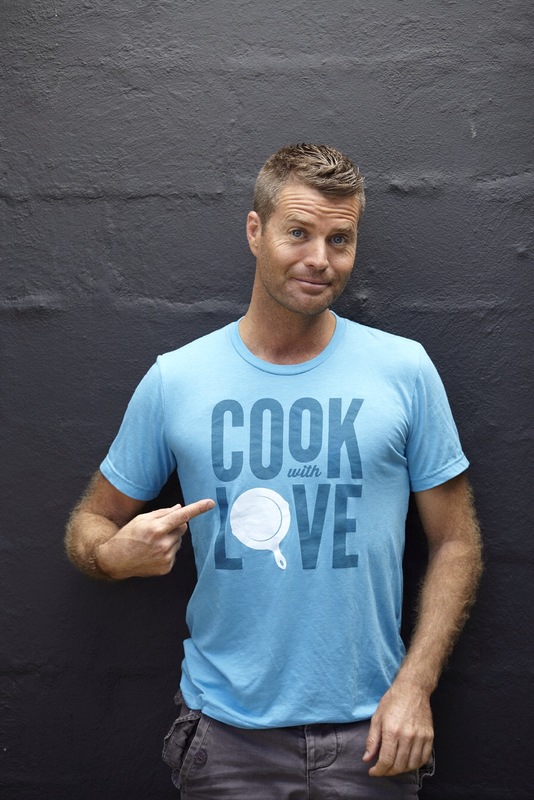 We cooked together for my television show The Paleo Way and it was a real joy and a pleasure and I know we’ll be back on the tools together again in the future. Me: You have been fortunate to meet so many amazing people on your ‘Paleo Way’ journey. Who has been the most influential? Pete: By far, the most influential of all is nutritional therapist Nora Gedgaudas, who has become a very good friend and someone who I enjoy working with immensely. In many ways we are kindred spirits. It was Nic who introduced me to Nora’s book Primal Body, Primal Mind, a couple of years ago and what she wrote made so much sense to me. To say I was inspired is an understatement and in many ways it changed the way I looked at everything. That’s why I got in touch with Nora about four years ago by sending an email saying how transformational her book had been for me. We eventually met in 2012 at our home in Sydney and that’s when Nora and I agreed that we wanted to find a way to somehow work together to help create positive change in others and in the way the public looks at food. Nic and I have since spent time at Nora’s home in Portland, Oregon, where we filmed segments with her for The Paleo Way television series, which is currently screening in Australia. 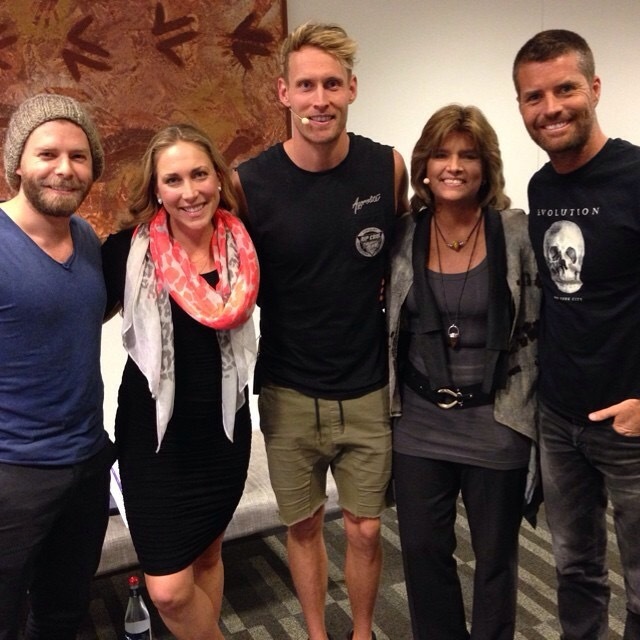 And I’m delighted she’ll be back in my homeland again this year for some of The Paleo Way’s nationwide tour. Over time, we’ve become a close-knit family – even though there is a significant distance between the places in which we live – and we are working on lots of other ways of collaborating. It’s going to be an exciting year! Me: School canteens, hospitals & retirement homes are in dire need of a nutrition overhaul. How can we start to make that change on an individual level? Pete: Get into the kitchen, choose a recipe you love, get on the tools and go wild! It’s all about connecting with your ingredients and taking a keen interest in where your food comes from. But most of all it’s about having the power to create food that tastes great and is good for you. Creating your own dishes in the kitchen helps spark a relationship with food and appreciation for it and that understanding is the first step towards successfully being able to make healthier, more informed choices. I also can’t recommend enough the power of getting kids into the kitchen and making each and every meal a bit of a celebration. It’s also things like being conscious about the food choices you make and listening to the scientific research and the influential people around the world and what they are discovering about how healthy eating lifestyles, such as Paleo, can have a massive impact on someone’s health and longevity. Remember, knowledge is power. Me: What is your go-to 5min meal that anyone could whip up at home faster than they could order take-away? Pete: I don’t think you can go past a chicken salad by throwing together some leftover roast chicken, some leafy greens, a handful of your favourite toasted nuts and taking a few minutes to whiz up a green goddess dressing made with a base of avocado, coconut milk and lemon juice. Me: Let’s talk real food on a budget. If you only have $10 what items would you buy to create a meal? Pete: I’d probably opt for a salmon and vege miso with some sliced mushrooms. It’s packed full of antioxidants and minerals, plus it’s great brain food. 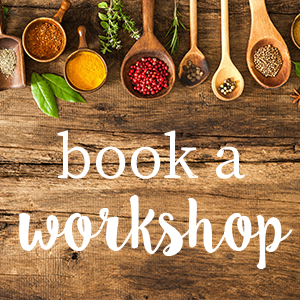 If you are interested in learning more about real food cooking and getting some hot tips from Pete you can book a spot at his upcoming ‘Learn to cook the Paleo Way’ tour HERE.